Juveniles charged with certain violent crimes could get a second chance under a reform to Measure 11 passed by the Senate Tuesday on the slimmest of margins. If Senate Bill 1008 were to win two-thirds support in the House as it did in the Senate, it would allow more flexibility in dealing with juvenile offenders. The policy would allow a judge to decide whether teens aged 15 to 18 are charged as an adult for a violent crime. Prosecutors now make that decision. The reform also would allow a juvenile the chance to convince a judge they have been rehabilitated and shouldn’t be transferred to adult prison to finish their sentence. That would align the state with a U.S. Supreme Court decision finding juveniles should not be sentenced to life without parole. Research shows teenagers’ brains are still developing, specially the parts that control impulse, Floyd Prozanski, D-Eugene, said on the Senate floor before the vote. In 1994, Oregon voters passed Measure 11, a stringent mandatory minimum sentencing law for violent offenders. The law took a significant amount of discretion from judges and put it in the hands of prosecutors, who decide whether to charge someone under Measure 11. In addition to getting longer mandatory sentences, those convicted under Measure 11 aren’t eligible for early release. 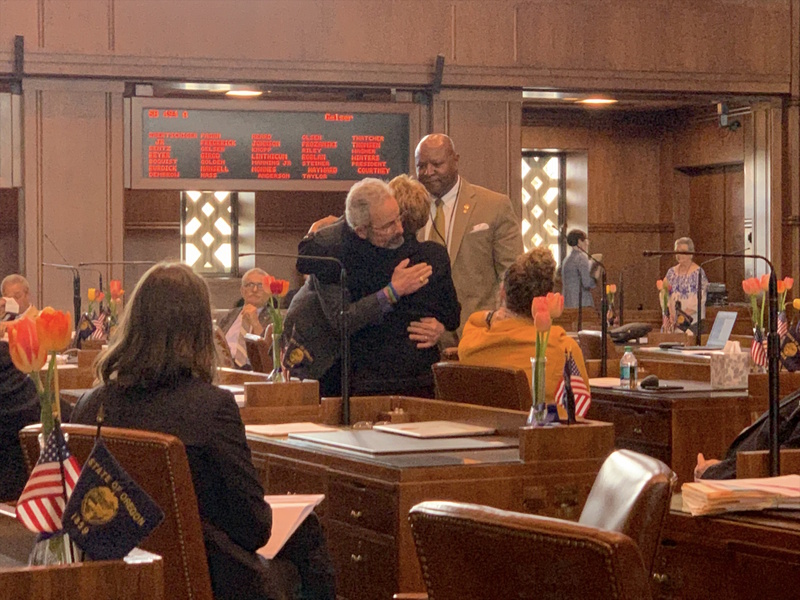 The legislation was carried by Senators Jackie Winters, R-Salem, and Prozanski more than 24 years after Measure 11 passed. Winters said on the Senate floor that she has championed juvenile justice reform for 50 years. Winters’ late husband was convicted as a teenager and spent time in an adult prison. Winters said her husband told her prison was no place for a juvenile. “You are teaching the individual, especially the juveniles, how to be better criminals,” Winters said. A teenager sentenced under Measure 11 goes into the custody of Oregon Youth Authority, but can later be transferred to an adult prison. Prozanski said the state spends three times more on a juvenile in Oregon Youth Authority custody than on someone in an adult person. That’s because the focus is on reform. But once they enter prison, the focus for the offender becomes surviving. “All of that investment goes away,” he said. Sen. Dennis Linthicum, R-Klamath Falls, said the spike in imprisonment in the 1980s wasn’t because people suddenly became worse people. It was the result of bad policy that didn’t focus on transitioning people out of the prison system, he said. The vote stood at 19-10. A reform of a voter-approved measure required two-thirds of the senators to support it. The fate of the bill came down to one vote – Heard’s. He joined Winters and Linthicum in voting for the bill, passing it out of the Senate and sending it on to the House. Heard declined comment after the vote. For Courtney, the bill was personal. Growing up, he said on the Senate floor, he got in violent fistfights that could’ve made him a Measure 11 offender. He said when he looks at the people in prison, he can see himself. The difference, he said, is someone came into his life and turned him around as he was about to be kicked out of school. “Peter, I have not given up on you, but boy do I expect more,” he recalled that person say saying. It allowed him a second chance. That’s what he wants to give the teens of his district. He hopes the success from Tuesday would be followed by legislation that would disallow split juries to convict defendants. Oregon is the only state that doesn’t require a unanimous vote by jurors.